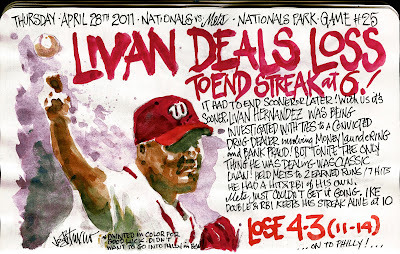 My Mets Journal: Livan Deals Loss to Mets! I know losses are usually in B&W But I couldn't go into Philly in those shades. 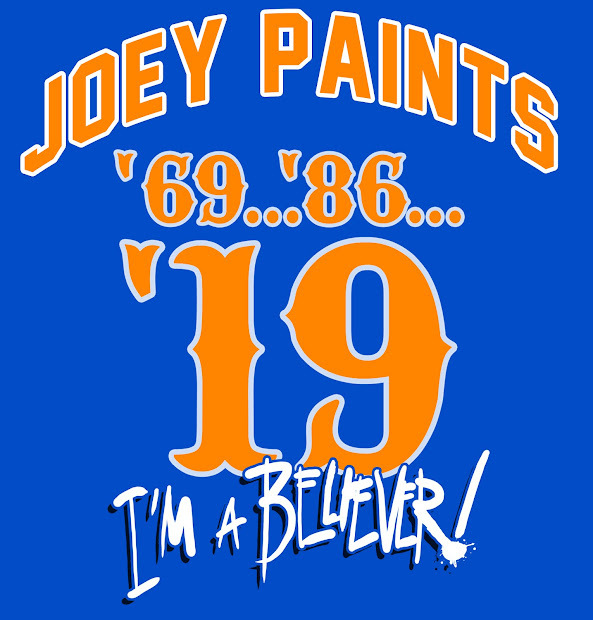 So with all of the color we find in our victories, let's go into Philly and paint the town Orange and Blue! Let's Go Mets! I'm not sure how you don't get more comments. Extremely entertaining and great art every day. A tough loss two days in a row but I love visiting. your the artist - u can do what u want! =) luv that! I'm pretty sure most prefer everything in color everyday anyway. However, I understand if it makes it easier for you to keep around half of them colorless. It's not because it's easier. It's actually a little harder to paint tones of black and white. I do it because I find no Color in a loss. That is how those games feel to me.